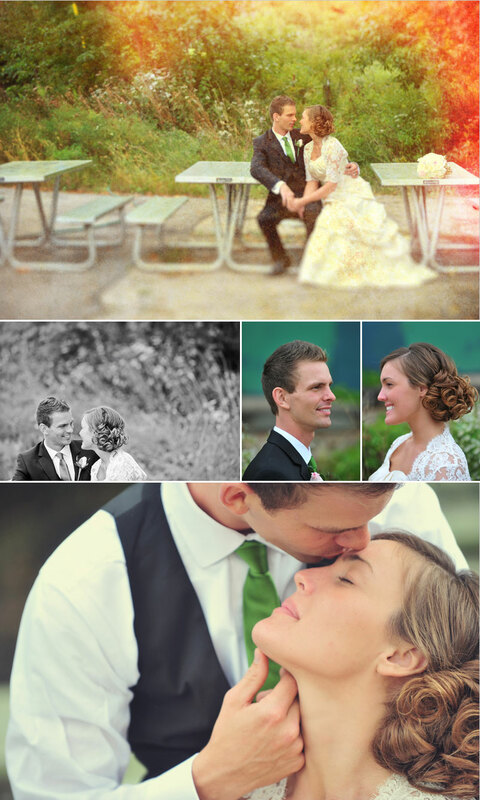 Photographing Sarah and Brian’s wedding was a true joy. They were married in the beautiful Pres House on the campus of University of Wisconsin, Madison, with the reception at the University Club directly across from the Pres House. After the ceremony we ventured out to the Olbrich Gardens and got some great shots of the couple. We also stopped by Ella’s Deli for a quick ride on the carousel and some photos. 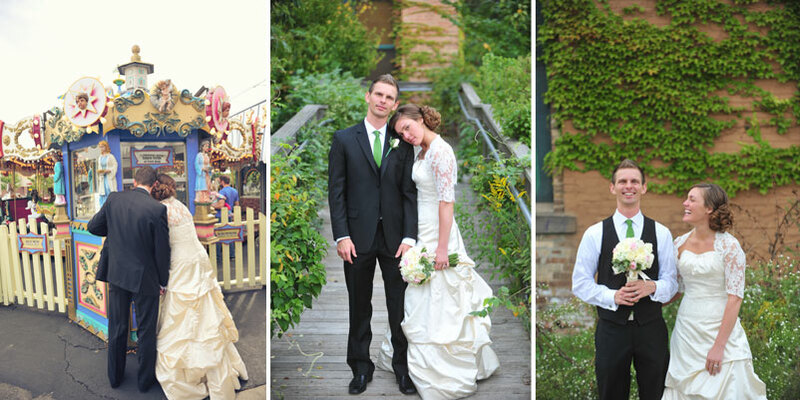 I have come to realize (through all of the wedding I have photographed in Madison) Ella’s is a local landmark! How fun would it be to grow up with memories of the carousel and all the fun gadgets inside!? Sarah had some great details mixed into the wedding. The wedding signs were handmade by a family member, the favors were handmade jelly (made by Sarah’s grandmother), and it was fantastic! Sarah also included two locket size photos of her grandparents that had passed away on her bouquet. I also loved the table cards! Each table was a city from Wisconsin (where Sarah is from) or California (where Brian is from) that has a special place in their hearts or in their relationship. Along with the name of the city, the guests at that table were able to read an explanation of why that city was important. What a great idea! Congrats to Sarah and Brian. You guys are such a great couple! Blessings to you guys! Even though I’m an Illinois wedding photographer, San Francisco…one of my favorite cities! So needless to say, I was excited when Corina approached me about photographing their wedding day. I might have to do a part two to this post…! Our inspiration came from Marie Antoinette! I have always loved everything about her, from her fashion sense, to her daring, bold self, and the whimsical world she lived in filled with chandeliers and color. I wanted to carry that essence of her into the wedding but still make it about us. I had so much fun using all of the different colors, and being able to use our imagination. It was extremely hard to find all of the perfect fabric colors and textures, and the right seamstress….but in the end it was all worth it and it really brought everything together. Family and friends really went out of their way to help us in any way that they could, and they made it that much more special. Having a lot of diy elements definitely added that personal touch and made the wedding more unique. I can’t say it wasn’t stressfull at all, but I can say looking back I had so much fun using our imagination and seeing it come to life.